People have different tastes in clothes, shoes, jewelry and more, so why not in gun purses too? We provide conceal carry purse choices for every taste and style. Maybe you love to dress in elegantly tailored suits  but your sister loves flowing Bohemian clothing. You adore designer heels in neutral shades such as bone, taupe and off white, while your sister wears flats in fuchsia, electric blue and lime green. You wear one piece of jewelry: studded earrings with cultured pearls. Your sister? Bangled bracelets that jangle when she walks, anklets and a nose ring. Sometimes, fashion choices reflect what was stylish when a person was young. Did your Bohemian-dressed sister grow up during the hippie era of the 1960s? Or did she wish that she had lived during that era? Although this next statement isnt universally true, teenagers and young adults often follow the current, cutting-edge fashions and/or what trendy celebrities are wearing, whereas older adults have often found what types of clothing suits their body shapes and lifestyles, and stick to that. People who are employed outside of the home often buy a particular style because thats what fits their workplace requirements  and, sometimes people wear certain brands simply because theyre more affordable. Fortunately, thanks to the advent of the Internet, people can typically find the styles they like, even if they arent carried in local shops. Because of vintage stores and thrift shops, clothing that was once in style can often still be found, helpful when your tastes dont mesh with todays styles. Smooth all-leather computer case: this is ideal when youve got a full life and jam-packed schedule. Rushing to and from work? No problem. This case features a cushioned laptop computer compartment, along with areas for your cellphone, pens, business cards and personal items  and a separate area for your concealed carry thats easily accessible. Pleated slouch handbag: prefer a more relaxed look? Youll love our slouch handbag that becomes buttery soft within just a few weeks of use. This conceal carry purse has the CCW compartment in the center of the bag, ideal for left- or right-handed use. This bag is made of uncoated pig skin thats tougher than cowhide and durable, while also being lightweight. Casual carry crossbody compact: like bright colors in your life? 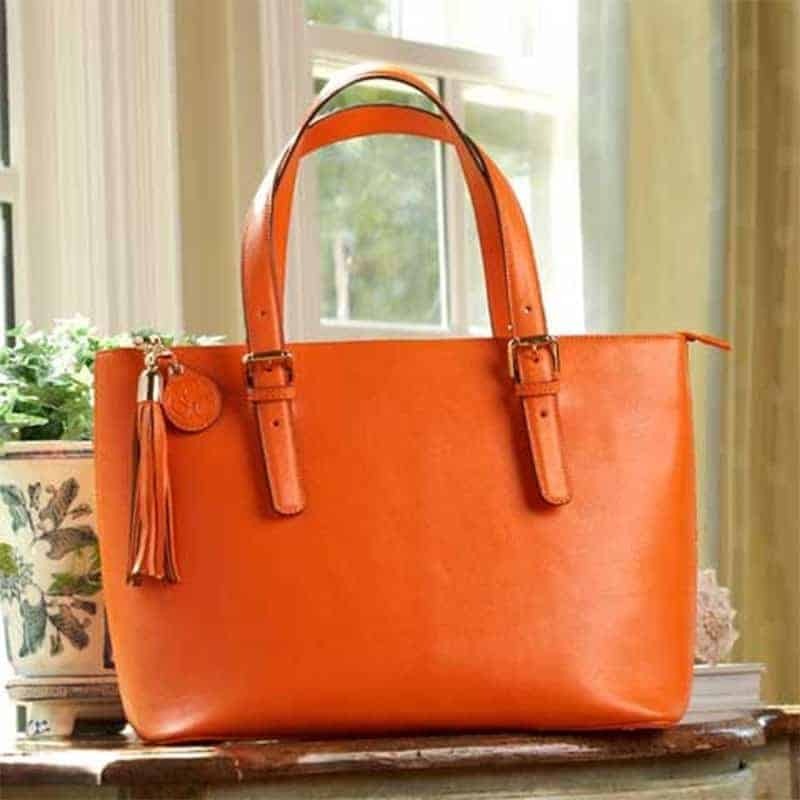 This lightweight microfiber handbag comes in vivid spice with brown synthetic leather trim, with a removable shoulder strap that adjusts up to 52 inches. This conceal carry purse comes with a key chain and fashion tassel. Are you a fan of purple? 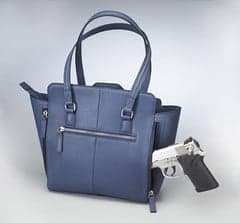 If so, then our iconic Aurora gun handbag is ideal for everyday use.